This post is going up at 8:30 am and the Iron Bowl is today at 2:30 pm on CBS. So, who do I think will win this game? Before I get to the pick, let’s get the hype going by watching this 2015 Iron Bowl hype video below! So, we know the stories this season. Alabama had that one setback against Ole Miss, but since that game they have played very well and in dominating fashion. As for Auburn, well they almost lost to Jacksonville State this season, who is #1 in their football poll. Auburn has had struggles with their offense, especially their quarterbacks. And you wonder how many coaches will be gone at the end of this season? Alabama has found their groove with a strong defense, and their offense has gotten better with each game. With a win, Alabama will win the SEC West and face Florida in the SEC Championship Game next week. 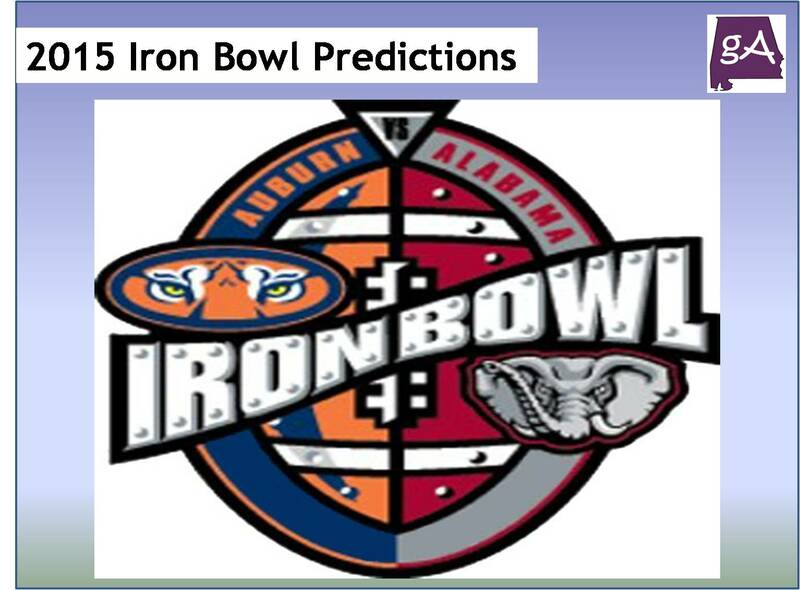 As for Auburn, I am glad they got their sixth win last week against Idaho, I hope they enjoy the Birmingham Bowl, because if they lose, that is where they will most likely end up. So, let’s be truthful and be honest. 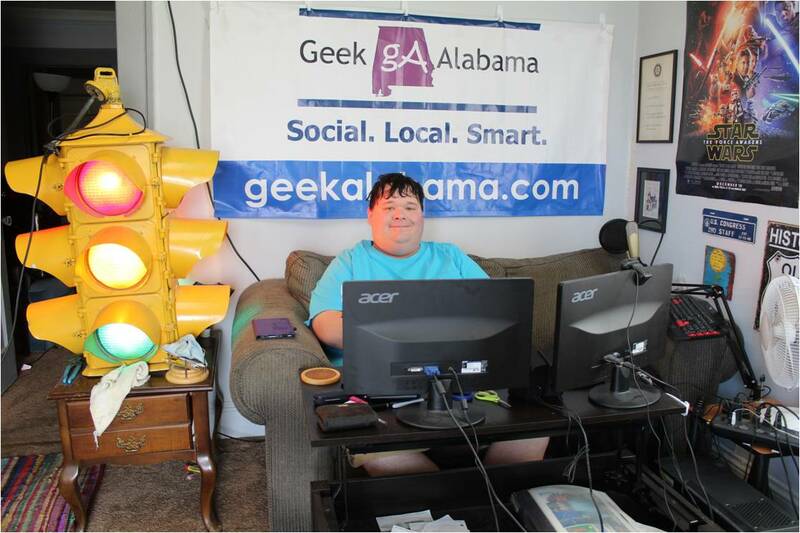 I am an Auburn fan, I have Auburn stuff hanging on my walls and even do Auburn checking at my local bank. But, there is NO WAY Auburn is going to beat Alabama this year. Even though Auburn is playing at home, there are just too many issues facing Auburn this season. And it would take a major miracle and a couple of Kick Six’s to defeat the Crimson Tide. I think Alabama will have this game in hand by halftime. And the Auburn faithful will be streaming out of Jordan-Hare stadium after halftime. 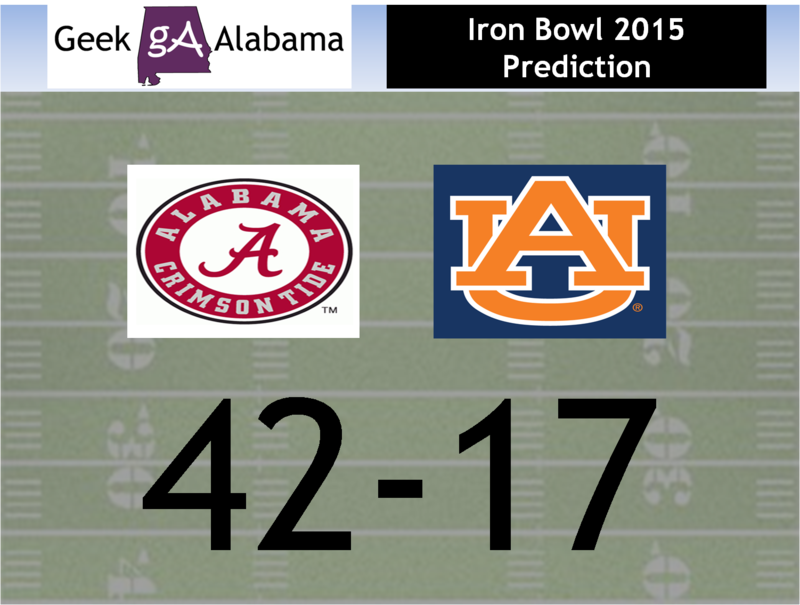 I predict that Alabama will win big by winning 42-17. It could even be a worse blowout, or Auburn could make it closer. But it would take an act of God for Auburn to win this Iron Bowl!